ForTechiesOnly: New Firefox Developers Tools are AWESOME ! 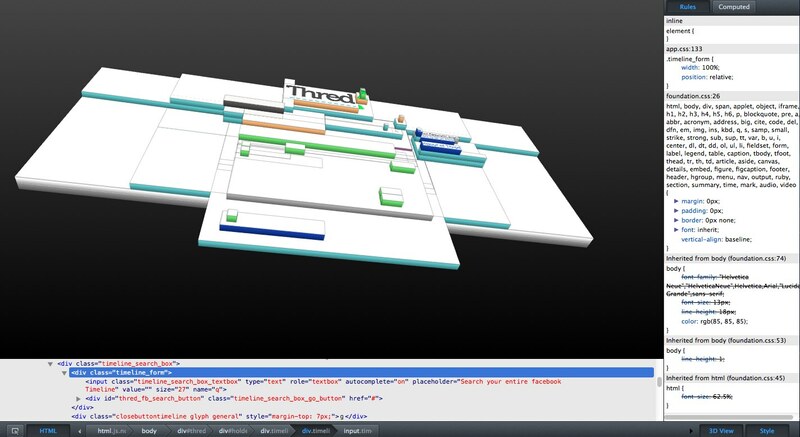 New Firefox Developers Tools are AWESOME ! So i finally got around to fixing a few firefox styling bugs for http://thred.in (now that we are launching our limited preview to a couple of hundred select techies). I was blown away by how much better the Firefox developer tools have become since the last time i looked. The biggest change is 3D mode. An amazingly useful tool, that visualizes all of the html content and all the css styling rules that apply to your page. 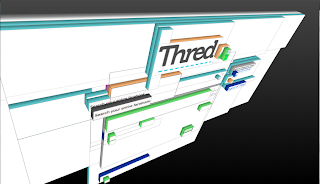 Being able to see EVERYTHING on the webpage that you have coded all AT THE SAME TIME and in proportion to each other is equivalent to having the best wireframe / box model ever for your project. The tool is also ultra smooth and fun to spin around. Check out the screenshots that i took of Thred.in (please note this is before the latest bug fixes). Furthermore, i just love the new color scheme. Dark grey with bright blue accent colors is pretty sweet in my book.